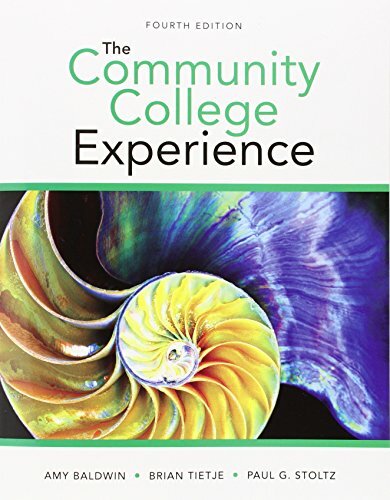 (Growth, Resilience, Instinct and Tenacity)Part of the "Experience Series" for college students in a two-year program, "The Community College Experience," 4/e incorporates the GRIT framework, supplying learners with powerful success strategies and tools for college completion and career success-"get in, get through, get out, and get paid." The authors recognize that understanding what it takes to succeed in college is one thing, but having the personal GRIT to make it happen is what makes the difference. Framed in a practical, situational manner, the book helps students navigate "what" to do, "when" do it, and "where" to go for support. It provides scientifically grounded yet practical tips and tools students need to grow greater GRIT, which research shows as the most powerful predictor of success in school and beyond. Students "'Get in, Get through'" using a firm foundation of distinctive features to stay in, and get through, college with academic, social, and transitional skills. In order to '"Get out, Get paid' "it equips students with ablend of professional and GRIT-based mindset required to successfully graduate and enter a career that fulfills their educational and personal goals.